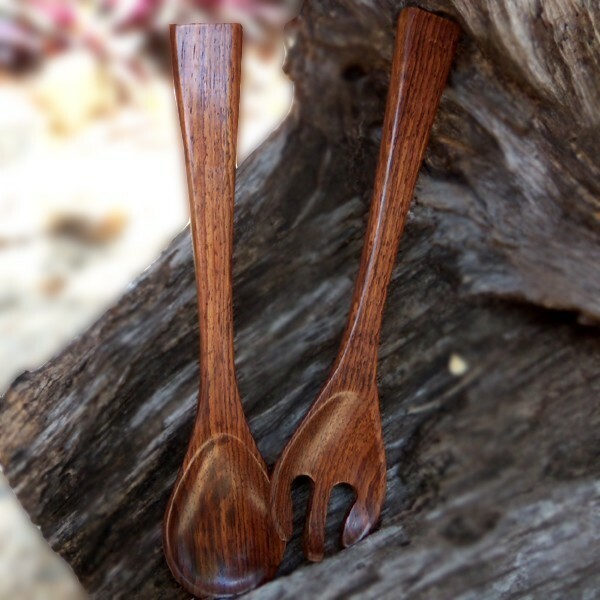 This 10.5 inch rosewood salad fork and spoon bring new beauty and elegance to your table. Together they make a perfect pair in serving up fresh greens and garden veggies. 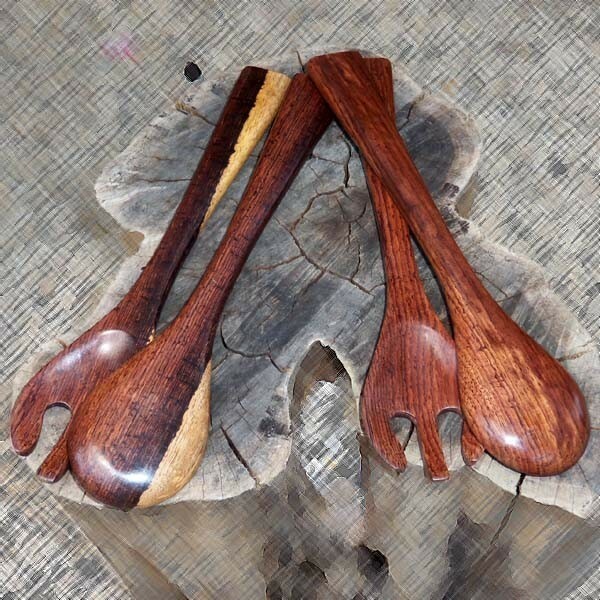 Handcrafted from exotic rosewood, these serving utensils will grace your side board with functional elegance. These are particularly attractive when used in conjunction with our wooden salad serving bowls. Assortment of hardwoods may include: purple heart, granadillo, hobillo, rosewood, manchiche (aka “Mayan walnut”), brown rosewood, guanacaste, and ziricote. No chemical sealant. Natural food grade edible oil finish.